The Baby Prince Kvak by Hoptimist: cutting edge design and colour for a stylish appeal. 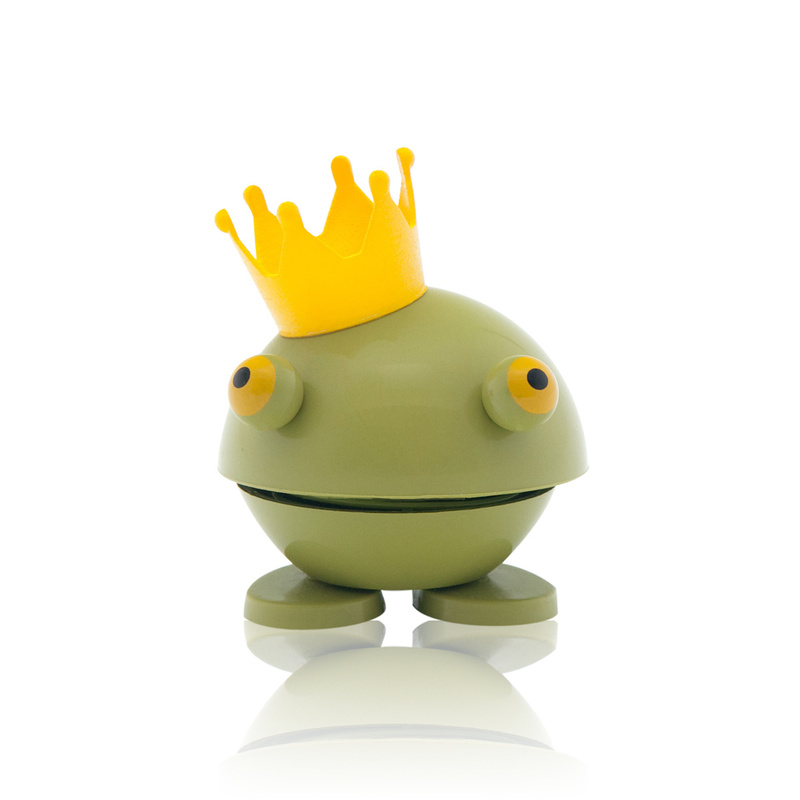 Baby Prince Kvak is a playful character with a designer feel, and it's part of a collection of adorable figurines created specifically to spread cheer and smiles into peoples' lives. This particular model has a very kind appeal: a small blue smile, with a head graced by a yellow crown and two big eyes. Its appearance resembles a playful frog prince from the famous fairy-tale. One of the special features this piece has to offer is that it can sway back and forth with a simple touch of the finger thanks to the spring it has as its body. It is shaped by treated plastic with a hypoallergenic, non-toxic colouring. Gracious, vibrant, joyful and original, this piece is the ideal complement to brighten up your house on even the gloomiest of days. You won't be able to do anything but smile when it sways back and forth, displaying its adorable little face. The piece is also ideal placed on a desk, to brighten the mood during long days in the office. It goes perfectly in the living room, kitchen, hallway, bedroom and in kids' rooms as it enlivens any environment, whether modern or classic. It can also be placed on its own or even paired with other smiley pieces from the same line in order to give life to original and personalised layouts. It is definitely a strange and playful designer figurine, made specifically to grab your attention and lighten the mood. Hoptimist is a Danish brand specialised in creating home goods accessories with a designer touch that also adds a spark of cheer to any house. All articles featured by this brand are a splendid example of the detail-oriented creation down to the very last part as well as high-end details used to reduce wear and tear.